I’m thrilled to welcome McKinsey from Pretty Crafty and Wanderful. She will be talking to you about mom guilt! We’ve all been there and McKinsey helps us to get rid of that mom guilt for good. Make sure to check out McKinsey’s blog and connect with her on social media (details at the bottom of the post). 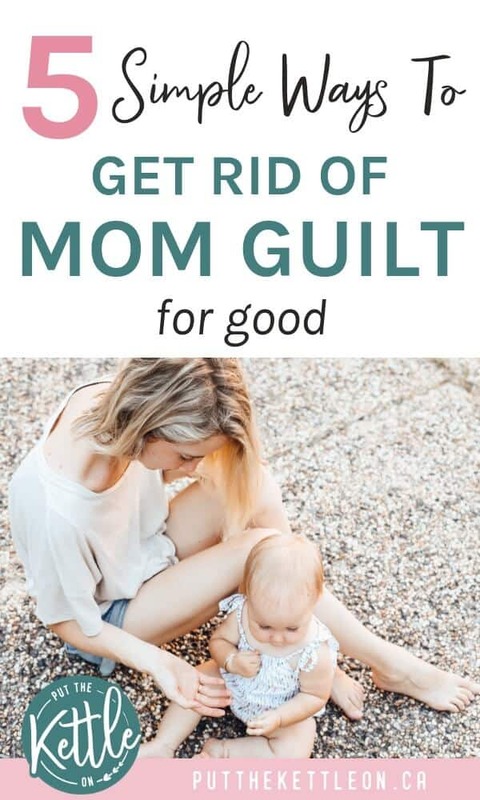 Do you tend to have the typical mom-guilt that suddenly takes over after you’ve done something you probably regret? Like yelling at your kid in public cause they wouldn’t listen? Or maybe you let your little one cry it out cause you felt that there was no other way. It’s okay, mama. We’ve all been there and done that, but there’s nothing that you should feel ashamed of because guess what? There’s a reason the mom-guilt keeps getting triggered. It truly shows that you care about what happens to your little one. The other part is that you don’t want to be criticized by others, but we can be our worst critics even when we don’t realize it. Here’s the thing though, you need to stop worrying about what everybody else thinks of your parenting skills or whether you are doing what’s best. I remember feeling so guilty and worried about almost everything I did. I even felt guilty for wanting a break because I was afraid that I wasn’t being strong enough. So I ended up lashing out for some of the smallest things even though I wasn’t sure why. Sometimes my husband would offer to watch our child so I could go out for a bit because he knew that I needed it. Going out didn’t help though, as it was obvious I had deeper issues than that. I really did feel like I was going insane at some points. Eventually, though I just stopped caring about what others thought. Of course, the mom-guilt didn’t end in one day. It still happens from time to time. But one day, I realized that I needed to put my foot down and get adjusted to the idea that I needed to stop feeling guilty for every little thing I did. 1. Write down the reasons you feel guilty, then let it go. To me, journaling is a therapeutic outlet that helps deal with my problems. If you write down the reasons you’re feeling guilty, you’ll eventually be able to self-reflect on what your deal is which will help you fix the situation. So, you let your kid cry it out for a couple minutes and now you feel guilty about that? Write it down. Express what you’re feeling and then let those feelings go. How this helps: There’s no need to think about it anymore because you have it written down in your journal and you can always go back to reflect on those feelings later down the road. I’ve always used journaling to learn more about myself. I became a different person the day I became a mom. And at first, I almost didn’t know who I was anymore. So I took up journaling to self-reflect. Day by day you can learn something new about yourself and writing down what has you feeling guilty will be like a weight that’s been lifted off your shoulders. 2. You’ve made a Mom Mistake. Learn from it. The best you can to get rid of the mom-guilt is to learn from your mistakes and look forward to the future. Moms are not perfect. We’re only human with maybe one superpower or two, but you definitely should not have expectations of yourself that are impossible to reach. 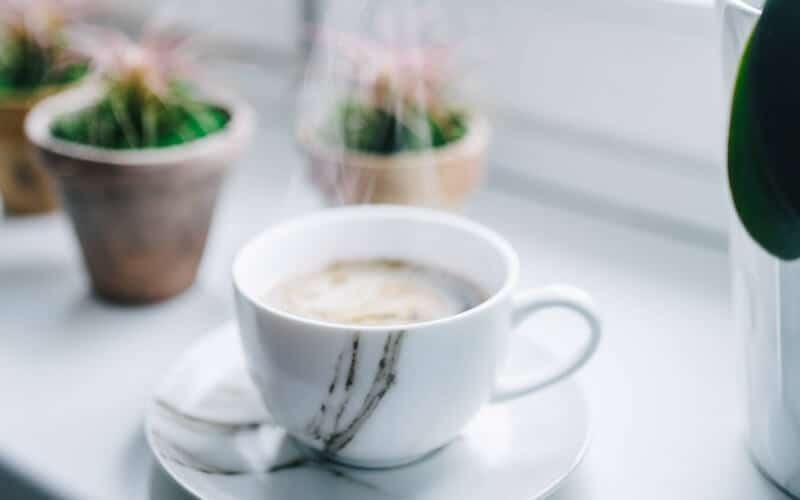 If you’re thinking about how your day could’ve gone differently because you made one little mistake then you need to start thinking differently. Admit to yourself that you made your mistake and realize that you know what to do differently for next time. 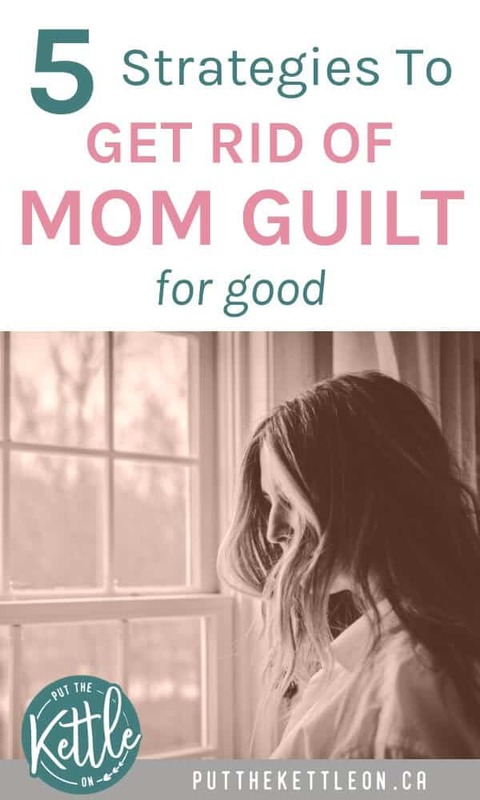 You can’t get rid of the mom guilt if you don’t forgive yourself. Take it easy, mama. I can’t say enough how important it is to be gentle to yourself. If you don’t forgive yourself, then how can you expect others to forgive you? It’s easy to fall into a trap surrounded by a swirl of negativity. I always try to forgive myself by letting things go. The act of forgiveness spreads love and kindness to all. Love and kindness that is spread to all will eventually come back to you, which will have you find happiness in the end. 4. Stop listening to the “mom-shamers”. This is probably one of the leading causes of mom guilt. Oh, you decided to co-sleep just for your own sanity? Or you tried breastfeeding, but it wasn’t for you. Maybe you bought your kids McDonald’s for lunch instead of cooking a healthy meal – and now you’re listening to what everybody else says you should do through social media. Do yourself a favor… quit listening to those mom shamers because for one thing, they don’t know you and they certainly don’t know your situation. Those critics are probably the ones that don’t have kids and they have no clue what they are talking about. So they troll online looking to get a rise out of others just for their own entertainment. It’s not their business with how you raise your kids. You are the mother and mother always knows what’s best! 5. Self-cleanse that Mom Guilt. What I mean by a self-cleanse is to get rid of the things that trigger your guilt. Instead of going online and falling into that trap of negativity, get rid of your Facebook for a little while. Or maybe your guilt is triggered by your bad habits. Start over by getting rid of clutter or maybe you just need to start gaining healthier habits. Whatever your guilt is, take charge of it because you are the one that is in control of your own actions. Always keep in tune with what surrounds you and make adjustments little by little. You are eventually doing a favor for your future self. So what’s the ultimate takeaway here? Don’t be afraid to take action. You’re doing the best that you can and that’s all a mom ever needs to do. Loving your little one is what matters most and life is too short to care about what others think. So be yourself and always try to find the light in the darkest of days. McKinsey blogs over at Pretty Crafty and Wanderful. 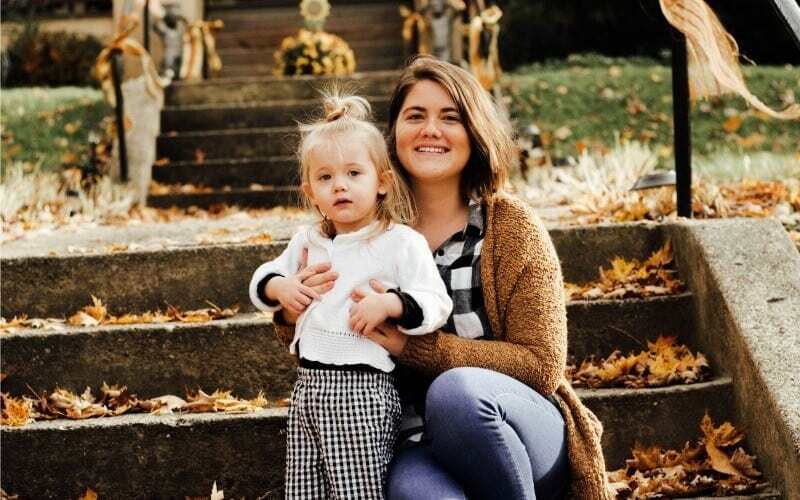 She loves to help moms embrace their journey through motherhood with self love, and she also enjoys sharing her crafty projects or home decor inspiration. When McKinsey’s not blogging, she’s mostly spending time with her family or reading a good book. McKinsey also loves to spend time in the great outdoors and is an overall animal lover. Be sure to grab her self care workbook when you sign up for an all-access pass to her freebies library. You can connect with McKinsey on Facebook, Instagram and Pinterest. I absolutely agree. It took me 15 years but once you see what your presence your child makes in the world, you will see that no one else’s options matter. Not now not ever. Keep your head up. Some great advice here that I believe every mother should hear! These are great tips, Yolanda! I love that you point out that moms typically feel guilty because they care so much. What an important thing to remember as we are struggling with our guilt! Completely! Care seems to equal guilt at times. We all need to find ways to get past that. So many valuable points made here, and many that I am going to note in my journal. It is so easy for us to beat ourselves up for simply doing the best we can! Thanks for sharing! I think it’s so true that sometimes the mom guilt is a result of comparing yourself/actions to other moms. I found myself doing this (unfortunately) with my first child much more than my second. I completely agree with that. I think we all need a little reminder to trust our intuition and not compare! Hey Layan! Yeah, it’s pretty bad mom’s out there are being so critical of one another. Women should stand together! The mom shamers are so real! I’ve never understood this. We need to support and encourage each other! I know! I think women in general need to support each other more in everything we do – home, work, etc. Not sure why we don’t all support each other more. We need to stand together! !